The atmosphere in Oakwood Virtual Golf is warm and inviting. With plush carpet and our historical bar you will feel right at home enjoying an ice cold beer on tap or a perfectly chilled bottle of wine. 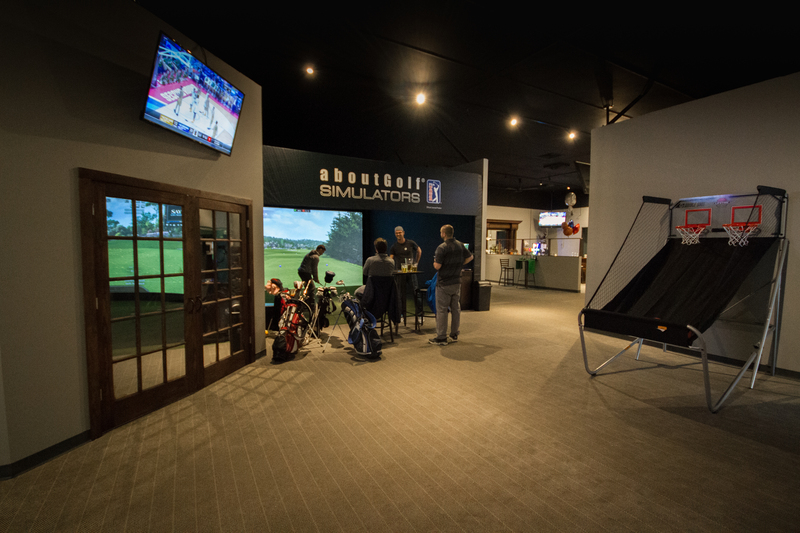 The 4k resolution TV’s around the center playing golf and other sporting events make you feel like you’re in a sports bar, and each simulator booth has individual controls so you can watch whatever you want picture in picture while golfing! During the football season, watch your favorite team on NFL SUNDAY TICKET while playing a round. 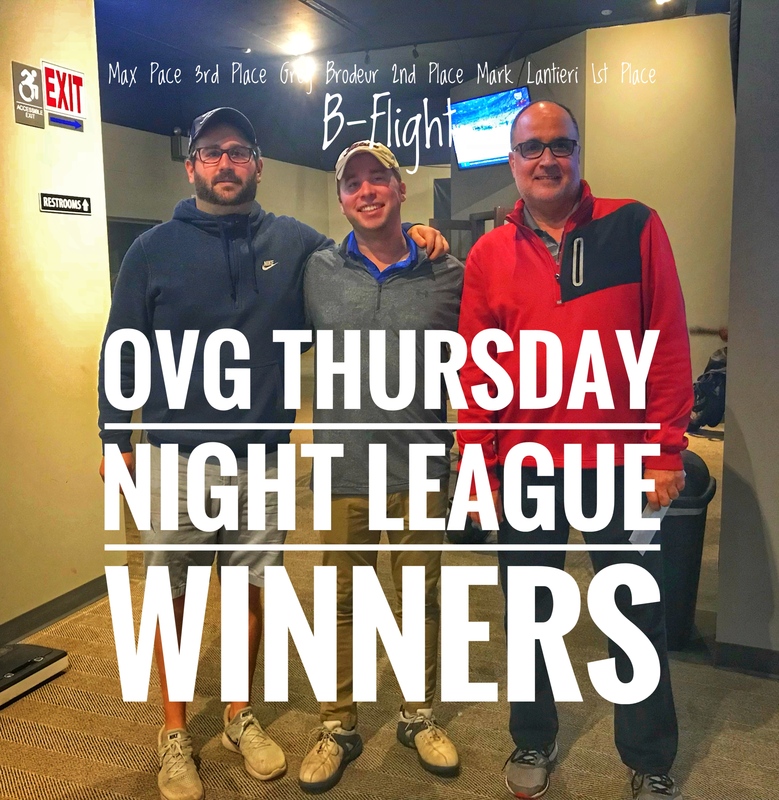 Oakwood Virtual Golf offers competitive fall, winter, spring and even summer leagues for all skill levels. 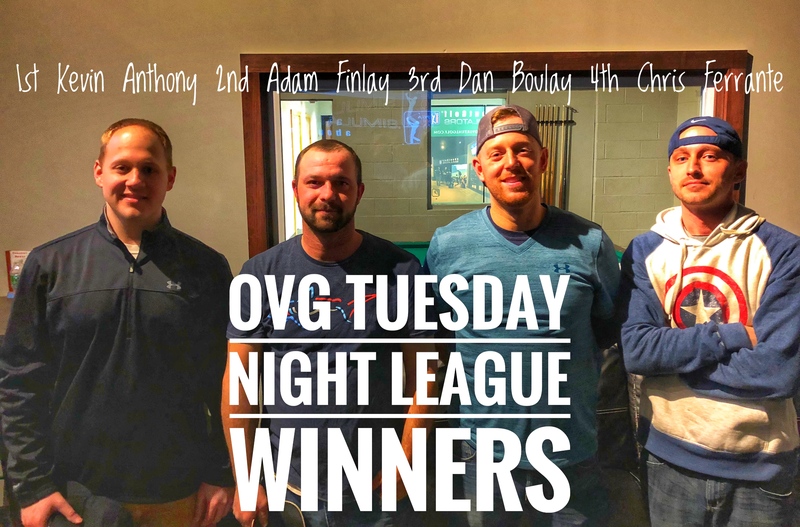 Our league members develop a handicap so a scratch golfer can compete on equal footing with a hacker. We play a different course every round in the league to offer players a unique challenge each week. Click here for more details and to sign up! Oakwood Virtual Golf is the perfect place to host a golf party or small corporate outing in the middle of winter. The unique setting offers social golf unlike anything you’ve experienced. Because of the close proximity of everyone playing you can have a cocktail with a friend or chat with a client in between shots even if you aren’t playing in the same group as them. Oakwood Golf offers two very unique private rooms. The first features our impressive 24.5 foot wide wrap-around curved screen which needs to be seen in person. The “curve” is in a private room with couches and tables for your guests to enjoy. The second is a much bigger private space containing three widescreen simulators for larger parties. 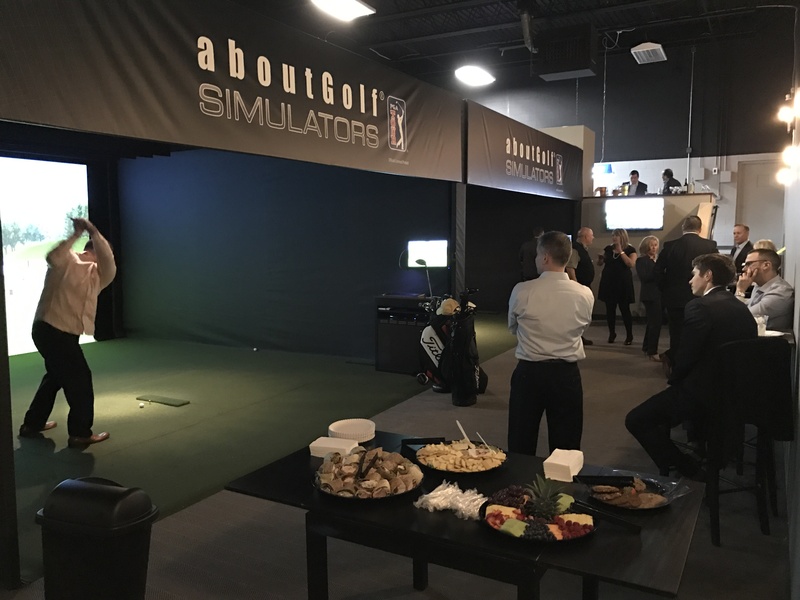 Oakwood Virtual Golf’s private rooms can be booked for a private parties such as the Super Bowl®, the Masters®, Stanley Cup Playoffs, March Madness, birthday parties or corporate team building events. In our private room we set up one booth showing the event on a 16 foot widescreen with surround sound while others can play a round of golf on the other two booths at the same time. The aboutGolf® system offers instant feedback on your swing; club head speed, angle, trajectory, ball spin, and much more. Combine this feedback with the expertise of a PGA pro for the most accurate golf lesson you’ve ever had. We offer lessons year round to make sure when you hit the course come spring your game will be the best its ever been. Click here for more about lessons.